Chronixx, born Jamar McNaughton Jr, is the pride of Jamaica. This rising star is at the forefront of the new roots reggae movement. His goal is to make authentic music in the tradition of Bob Marley that connects with people worldwide. His plan seems to be working. His EP, Dread & Terrible, topped the Billboard Top Reggae Albums chart. In May 2014, Chronixx won Culture Artist of the Year, Best New Artist, and Entertainer of the Year at the Linkage Awards in New York. 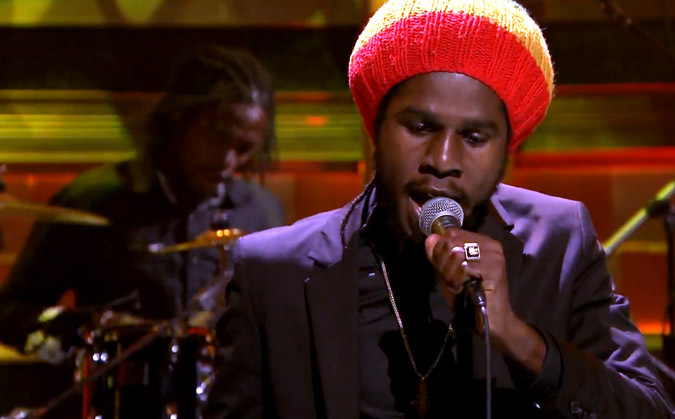 In this video, Chronixx performs his hit song, “Here Comes Trouble” on The Tonight Show Starring Jimmy Fallon.